On Thursday, a man named Wayne Simmons was arrested by the FBI for what the agency called “major fraud” — lying about having worked for the Central Intelligence Agency for nearly 30 years, and then using that lie to obtain government security clearances. 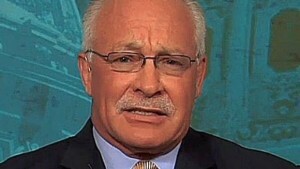 Before his arrest, though, Simmons was a frequent contributor on Fox News, which billed him as a “former CIA operative.” And as might be expected, he used his claimed experience to make provocative assertions about U.S. national security policy, particularly America’s vulnerability to terrorism. In light of his indictment, ThinkProgress reviewed his appearances on Fox News. Simmons was regularly featured on the network since at least 2002, so there were a lot to choose from. A little more than a year after the 2008 presidential election, Simmons told Fox News that president Obama — who he called the “boy king” — was directly responsible for a number of recent acts of terrorism.